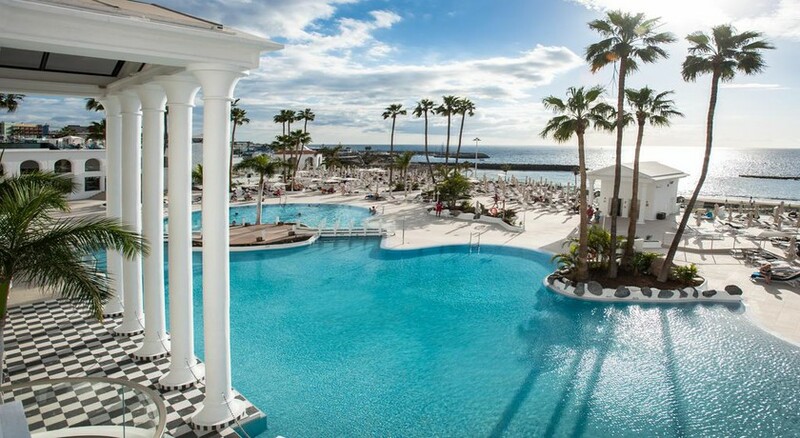 With a beachfront location and fantastic pool scene it's little wonder families and couples come back to the stylish Costa Adeje hotel of Guayarmina Princess year after year. 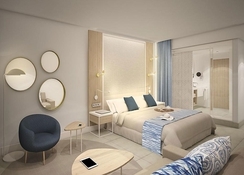 Inspired by a Greek palace, its white façade connects to the pretty beachfront promenade and is walking distance to the sandy Playa de Fañabé beach. 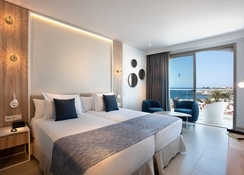 The resort offers 513 modern rooms and suites, with views of the sea, two large pools where you can soak up the sunshine, and a buffet restaurant that features live cooking stations. The pool areas are the real showstopper here, and the whole resort has a classy feel. It also features an a la carte restaurant and four bars. Enjoy a host of sports activities at the hotel or just sip cocktails at the pool bar and enjoy the gorgeous sunset across the Atlantic. With its indoor palms, polished marble floors and cathedral-like ceilings, a stay at this hotel has more than a touch of glamour. Guayarmina Princess is located 150 metres from the Blue Flag Fañabé Beach, with the shopping centre just minutes' walk from the hotel. 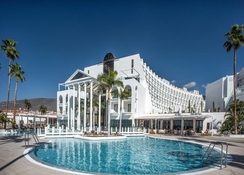 It’s close to several attractions, such as Golf Las Americas & Golf Costa Adeja which are 3 km away, 1.5 km from the Siam Water Park and 1km from Aqualand. Guayarmina Princess Resort offers Standard Rooms, Standard Family Rooms, Junior Suites, Suites and Ocean Suites. 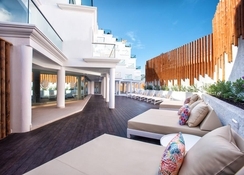 They all come with private balconies or a terrace, with spectacular views of the sea. The buffet restaurant, with live cooking stations, serves breakfast, lunch and dinner, along with Canarian and South American themed dinners. Check out the pool-facing La Palmera for à-la-carte options. You can also indulge in cocktails and snacks at the four bars - Bar Mojito, Bar Sunset, Bar Piano and Bar Princess - all in the hotel, or head to the Pool Bar, where you can enjoy a snack on the sun-soaked terrace. Fun and games are plentiful at Guayarmina Princess, with a squash court, a games area and options to play table tennis, air-hockey, darts and pool. Take the lift to reach the sandy beach, with a lively seaside promenade that leads to the chic Playa del Duque beach. You can also soak up the rays at two large pools that wind around the resort, dotted with palm trees. The kids get their own pool, complete with a sun terrace. There’s also a mini club to keep the little ones busy. In the evenings, live shows provide great entertainment.